We’ll be at PAD. 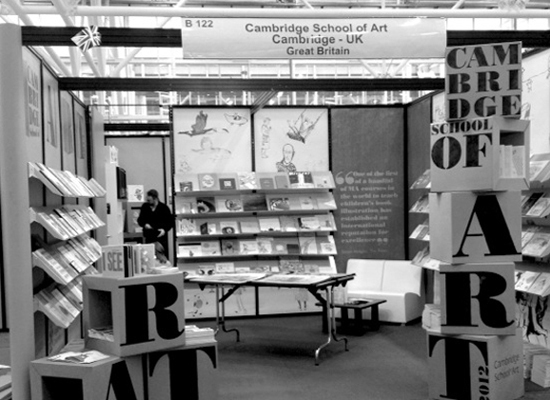 25 STAND B/112 at Bologna Children’s Book Book fair this year. The MA in Children’s Book Illustration will be showcasing a selection of artwork including dummy books and illustrators’ portfolios. If you would like to view any of our illustrators’ portfolios during the fair please contact Pam Smy to arrange an appointment. We hope that you will also join us for a drink on Wednesday 3 April at 4:30pm where you can meet some of the artists or just browse the work with a glass of wine.